Guy Poitevin's lifelong involvement in cooperative action-research among down-trodden communities will remain exemplary. 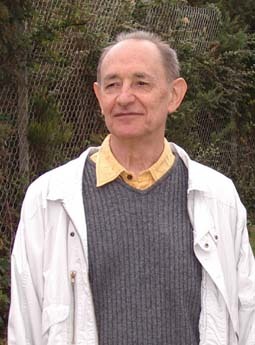 Born in Mayenne (France) in 1934, he graduated in philosophy from the Sorbonne (University of Paris) and taught philosophy for twelve years in a seminary in Western France. During his early years in Pune (1967-1972), he came into close contact with Indian students through the Students' Welfare Association. He obtained his PhD in social sciences from Paris University, with a research on attitudes and aspirations of Indian students from lower social sections. He settled in Pune in 1972 and later became an Indian citizen by naturalization. Together with his wife Hema Rairkar and the team of social animators of Garib Dongari Sanghatna (Organization of the Poor of the Mountain) he conducted research projects on a wide variety of topics: grass-root development processes, social action, migration, women coolies, health programmes, gender studies, participatory research, dalit autobiographies, etc. In 1982, he established the Center for Cooperative Research in Social Sciences, Pune, devoted to research on those social agents and communities whose socio-historical plight, struggle for survival, internal representations and cultural potentialities happen to be overlooked by academic research methodologies.